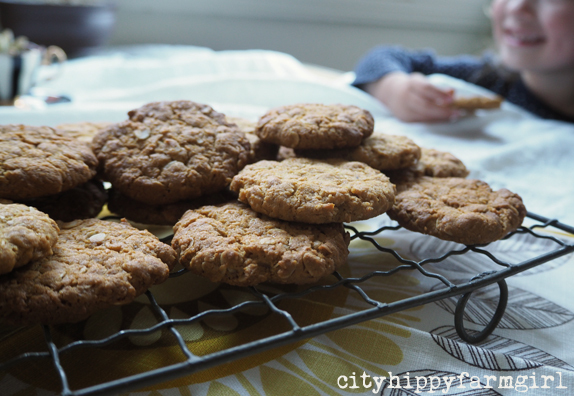 This entry was posted in Photography, Rambles, Waffles and Digressions and tagged anzac biscuits, coffee, forced perspective photography, Photography, the secret garden by cityhippyfarmgirl. Bookmark the permalink. I still remember lying on my bed as a little girl, reading The Secret Garden, with a big storm happening outside, and it matching the mood at the start of the book, with the ‘mystery boy’…I would love a walled garden! Perfect setting to read the start of the book Becs. As for walled gardens, ohh yes. That book really must have created a lot of walled garden love around the world. I like grinding my own too Sara. There is something about the whole process of grinding, brewing, drinking which I particularly like. 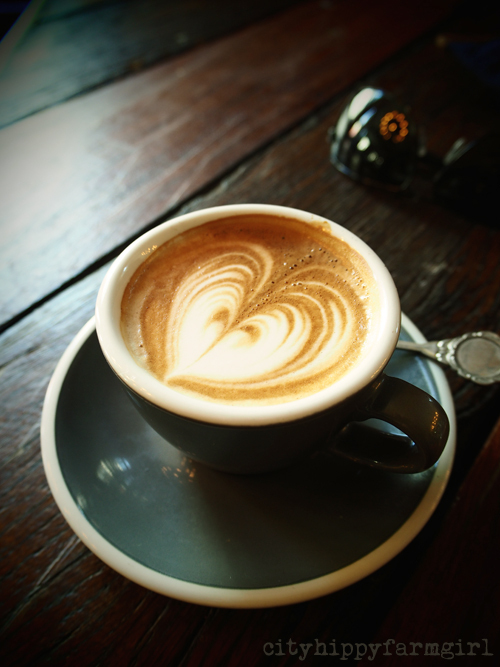 Saying that, coffee out is always wonderful too…yep, I do like coffee! I think that’s a pretty good way to kick start a Sunday Zena. Actually pancakes and dinosaur play are pretty good on any given day. Mystery and promise Johanna. Two of my many favourite words, especially when they are together. I do love The Secret Garden, but I tried to read it to my eldest boy a bit too early. Turns out your parents dying of cholera and leaving you all alone in the world is a pretty scary concept for a four year old! We revisited it as an audiobook a couple of years later. It is such a lovely ritual isn’t and I’m really pleased you have been so happy with it. We use ours all the time and take it away any time we go as well. Too easy not to. Years and years ago I was so close to buying a big fancy coffee machine thingy. Jeez, so glad we didn’t and I still chuckle at how different my “wants” are these days. Certainly doesn’t include a big fancy coffee machine that’s for sure. Lovely joys, and lovely photos to match. I’m loving belly laughs with friends and good coffee this week – essential to be together! I haven’t yet either Mel, although I think my eldest would be ready now…seems we have some reading to do. You are right, damn right. This needs to be done, oh yes it does. Ha, me either Jane. I wonder why? Coffee table book of….well coffee? Secret gardens (any leafy gardens will do me really, but secret ones are even better!) and good coffee do wonders for me too 🙂 And isn’t it amazing that some people *haven’t* read The Secret Garden? I feel for them and hope they can rectify their loss! They should Kari….perhaps we should leave copies of the book in bus stops around the world, (well Australia and the UK) just to get the Secret Garden movement going. What do you think? 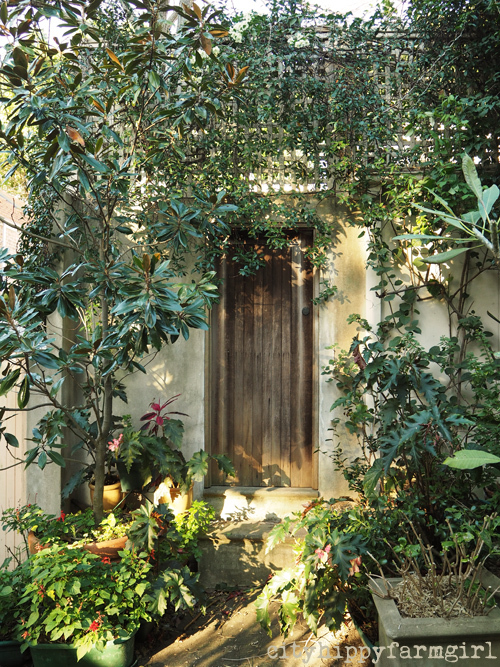 I love doors – whether they’re set into walls with a secret garden hidden behind or just an old bashed door to a house. You just never know what’s behind. Probably not much, but that’s not the point. Just loving sunny days here at the moment. 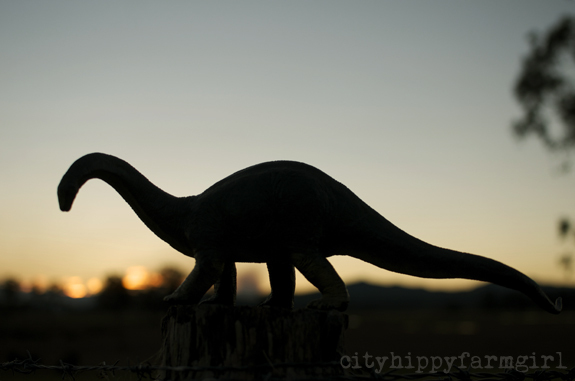 Yes how could you not love a dinosaur at dusk? Hello lovely Heidi…I’ve missed you! Anna you are flaunting your truffles at me! Not easily accessible for moi, and I’m fearing the season will be over before I’ve finely shaved some onto my eggs. Sheesh, what’s a girl to do.